1. Do you use a multi-head setup? If yes, using just one monitor fixes the issue? 2. Can you reproduce all the time? 3. Do you use ldap? If yes, using gnome-screensaver fix the issue (see comment #115) can you still reproduce that? Lockscreen shield isn't properly shown. Or fails to login. Here is a quite bad quality photo (taken by cellphone) to demonstrate the problem. The whole screen in case of problem. Looks like there is some problem with your pam configuration. Did you play with it? Just noticed: sometimes (if the problem occurs) I see the screen I've posted after locking the screen (ctrl-alt-l). If I don't touch the keyboard and mouse the screen fades into black and after some seconds I see the login screen presented with full bright again where I can unlock the session. I don't know too well the new features of the unity desktop, but I guess the first (problematic) screen may be the unity-locker and only that have the problem. Moreover, it's kinda strange for me that I lock my computer (notebook) so I expect that it should save power to turn off display, fade to black etc, but after it happens I get the login screen where I can unlock my session but it's not faded etc. I try to adjust settings in gnome control center and unity control center (I am not sure they are some or not) but I couldn't figure out what settings affect these exactly. 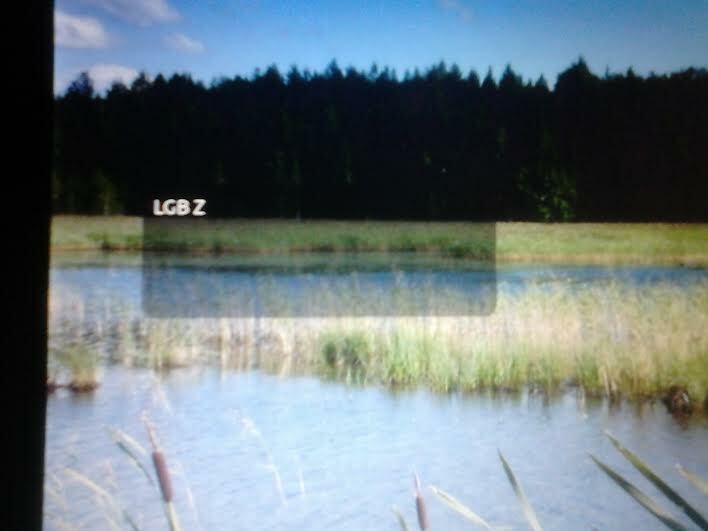 @LGB [Gábor Lénárt] that you don't see input field doesn't mean that you can't type password and unlock the screen. I was trying to reproduce a bug that some people described about fullscreen YouTube videos showing on top of Unity lock screen. I managed to get once a screen locked which would flash and without text input field visible just like on your screenshot but I just typed my password and unlock normally. Also affected randomly. For me its impossible to unlock again. Even if I type my password blindly. I had this with 14.04. Seemed to get better after I installed the proprietary nvidia drivers? I'm having this issue as well. It's not very frequent but it has happens once in a while. I have a machine with an NVIDIA card, using proprietary nvidia drivers, dual monitor display. Since it's not very often, I haven't yet been able to correlate it with any specific event. My pam configuration is customized, but I don't believe it's related at all, since most of the time it works fine. I think number five (number 0 prepended) solves the problem, but in order to be sure, I have added another tries. I am running an AMD card in a dual-screen configuration on a new 14.04 install. I have found somewhere this command prepended by 'setsid ', but don't know if it changes anything. Same here, 14.04 64bit, dual monitors. I've had this about 3 or 4 times as well. Also dual monitors (nvidia binary driver, 64bit). I also get this once every couple days. Always from the lock screen. - 01:00.0 VGA compatible controller : NVIDIA Corporation GK107GL [Quadro K2000] [10de:0ffe] (rev a1) : nvidia proprietary driver 331.79 with dual screen. It's an important bug to deploy Ubuntu 14.04. I get this issue once every couple days so if you need specific information or if you need me to perform tests, don't hesitate to contact me. 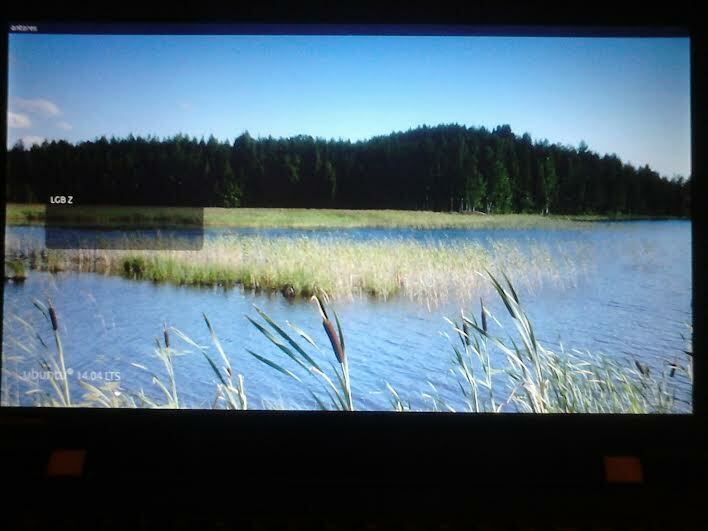 And I have a ploblem, when VirtualBox window is active, I lock screen. When I want to type my password, it doesn't type in password field, it types in VirtualBox. Another observation: in case of problem also shutdown does not work sometimes, it simply doesn't do anything, even if try multiple times. The only solution then: switch to text console, log in, give command "init 0" as root. Affects me as well. Dual monitors, nVidia GT640. It also affects me. 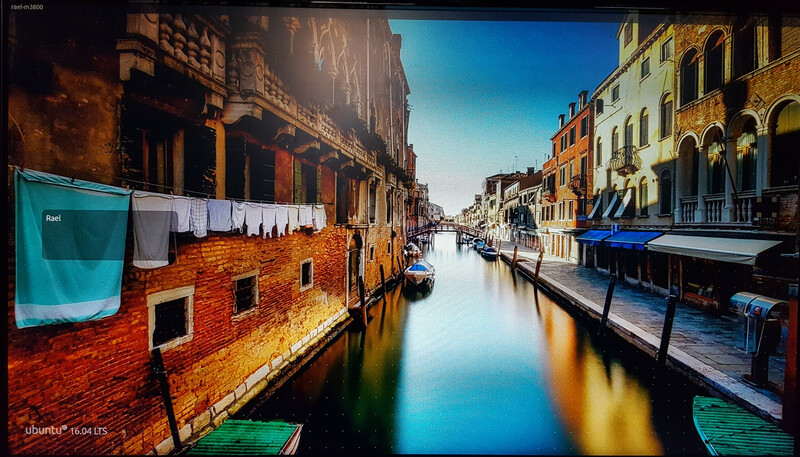 Dual monitors, 64 bit, Graphics: Intel® Ivybridge Desktop - also only every now and then, not always. When I can't login and try with 'unity --replace' in console (pressing Ctrl + Alt + F1) I can login again but top menu is missing in all applications, but 'compiz --replace' doesn't work (it prints some lines one of them being: Fatal error: Coulnd't open display). But if I do Ctrl + Alt + F1 and run 'unity --replace', then go back to unity with Ctrl + Alt + F7, then I can login - and after I am logged in in unity and open a Terminal there and run 'compiz --replace' then also top menu comes back. This happen sometimes to me. Dual monitors, ivi brige + nvidia (open source driver). There is many people with such defect affected - we can add debug for some component to triangulate this bug? I am also experiencing this every couple days. can you please tell me if when this happens the top panel (in the lockscreen) is correctly displayed with all the indicators like in the attached screenshot. I'm trying to understand if this is a rendering issue or a PAM one. I'm seeing the issue as well and I see the top panel shows up like in your screenshot. @Andrea, yes, indicators are properly displayed. The only missing item in the screen is the field to input the password. @rael-gc what about username as per screenshot? I'm trying to understand if somehow unity fails to start the pam auth flow. My lock screen simply shows the system name. Not the user name. Here is a capture of the top row of the lock screen. And, it seems that neither the `compiz --replace` nor the `unity --replace` works for me. I get back my desktop but can't interact with it. can you post a capture of the full lockscreen? > Here is a capture of the top row of the lock screen. > ** Attachment added: "Top row of lock screen"
@Andrea, yes, the username is properly displayed above the missing password input field. @Andrea, sure, as soon as I face this issue I'll capture it. Well, I did an update this weekend and now I am not seeing the problem any longer. I'm not sure what got updated or how it fixed it but I am able to move the mouse and the login screen comes back and I am up and working again. @Andrea: is a restart required or a `compiz --replace &` is enough? And the "fix" doesn't work as I'm using Unity 7.4 on Xenial LTS patched up with the newest fixes. 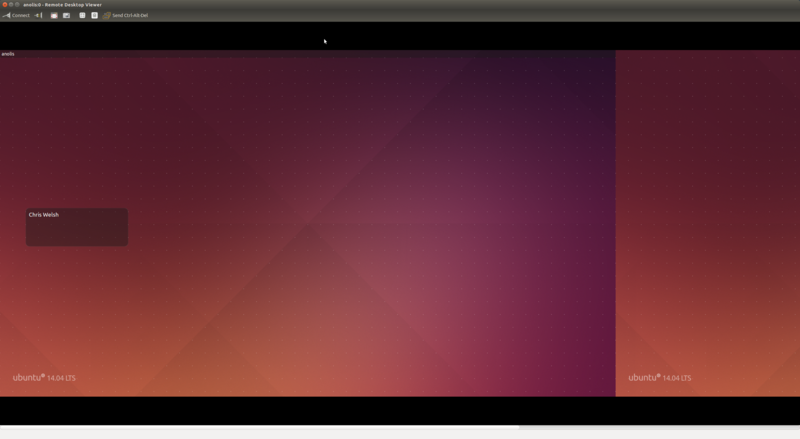 Will this be fixed or should we abandon Ubuntu as a GUI option for Linux? Should I switch to KDE? Any other recommendations? Using the "Switch to greeter..." button you should be able to login without any Ctrl+Alt+F1 press, isn't it? Andrea might help more here, though. @Markus do you get it all the times? works just fine here on my lenovo lappy. @Andrea: Yes, no "switch to greeter" for me anymore. But still I get the LightDM lock screen (with working password field) instead of GDM3. Can you check the output of "cat /etc/pam.d/unity" ? > LightDM lock screen (with working password field) instead of GDM3. > Lockscreen shield isn't properly shown. Or fails to login. I can't reproduce the issue, but for sure this fix doesn't bring any regression, while we didn't get any report of this happening with unity 7.4.5+16.04.20171201.3, so we can safely mark this as verified. Feel free to reopen in case.